The city of San Marcos filed a legal brief Thursday supporting Austin, San Antonio and other cities that have filed suit against the state for its new law on immigration enforcement. In the 16-page brief, city attorney Michael Cosentino argued that under Senate Bill 4, fear of immigration enforcement will lead people to avoid calling police, reporting crimes or coming forward as witnesses — in turn, making the city less safe. City Council unanimously voted Tuesday to file the brief during a special meeting called a week after the council decided against joining the lawsuit as a party. Community groups and other residents had for months put pressure on the council to take a public stand. The San Marcos Police Department’s current policy — to ask about immigration status only when someone has been arrested for involvement in a violent crime — will not be enforceable under SB 4, Cosentino wrote. The law will prevent departments from setting a policy limiting when immigration questions may be asked. 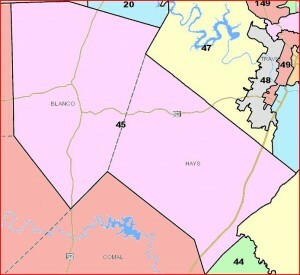 Cosentino suggested that the issue is especially of concern to residents of San Marcos, almost 40 percent of whom are Hispanic or Latino, according to U.S. Census data, as well as students of its school district and San Marcos-based Texas State University, both of which are majority Hispanic. See here for the background. Harris County Attorney Vince Ryan also filed an amicus brief after Commissioners Court declined to get involved. 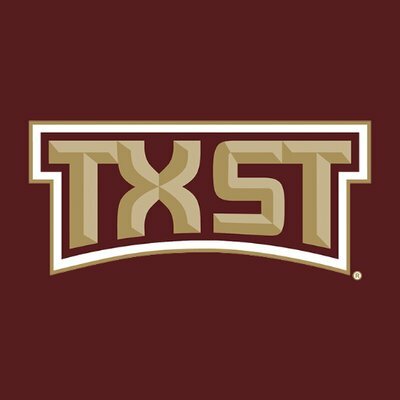 San Marcos is the first city in a county that went for both Greg Abbott in 2014 and Donald Trump (barely) in 2016 to get involved. We’re less than a week out from the implementation date for SB4, and with the redistricting lawsuit off the docket for now for Judge Garcia, hopefully we can get a ruling soon. Two years after Republicans trounced Democrats in Hays County, the GOP again is aiming to win. Ten incumbents are running for re-election in Hays County races, but the six Republican candidates are all unopposed. 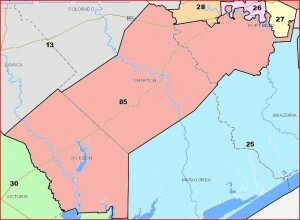 All four Democratic incumbents, however, have drawn Republican challengers, including Debbie Gonzales Ingalsbe, the longest-serving member of the current Commissioners Court. 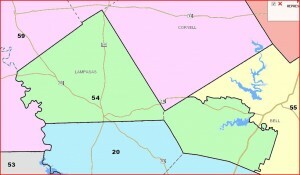 Democrats are also being challenged in a justice of the peace race and two constable races. 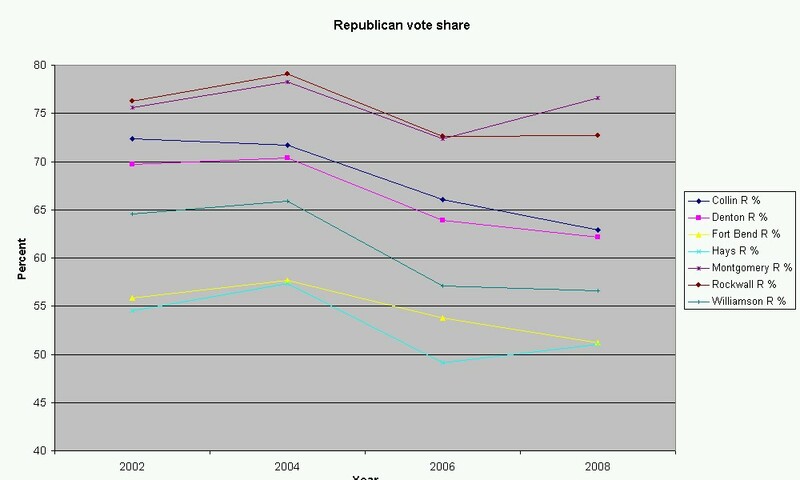 The county went red in the 2010 elections as Republicans swung the Commissioners Court from four Democrats and one Republican to four Republicans and one Democrat. 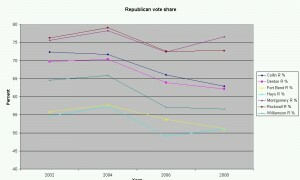 Republicans also replaced the Democratic sheriff and district clerk. 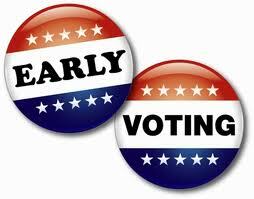 Hays County had long been known as a purple county — in which both Democrats and Republicans were elected — but even Democrats at the bottom of the ballot were swept out of office during the midterm elections as Republicans expressed disappointment with President Barack Obama’s policies. Do I really have to explain the difference between Presidential election years and non-Presidential election years? 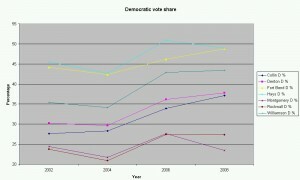 Basing expectations for 2012 on what happened in 2010 is foolish. I’m no expert on Hays County, and I have no idea what the past history of the County Commissioner/Constable/JP precincts looks like – the Hays County Election Results page is completely useless. For all I know, the Republicans will win all of these races. But if they do, it’s not because the 2010 election results said they would. Now this doesn’t tell us what’s going to happen, either. 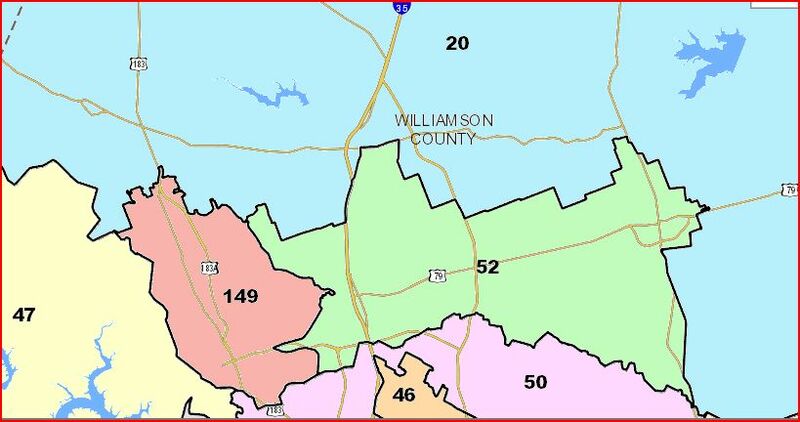 None of the races cited in the story are countywide, and again I’ve no idea what the electoral data looks like in the political subdivisions. Hays County has experienced a lot of growth in recent years, and who can say how these new residents will vote. As I’ve said before, I just don’t have a good feel for where things are in the state, and the recent polls we’ve seen lately have raised more questions than they’ve answered. The one thing I do know is that I’ll be taking a long look at county data after the election is over. I’m sure the Republicans would love to draw Lloyd Doggett out of existence if they can. The question is whether they can do it without causing other problems elsewhere. 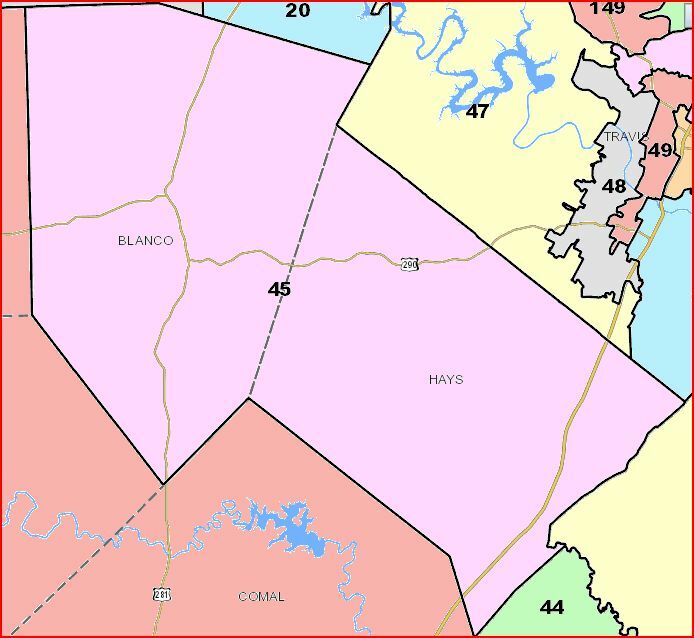 Republicans have tried to oust Doggett before by drawing a district with a large Hispanic constituency hundreds of miles from Doggett’s hometown. They failed, and key Republicans in the Legislature might not want to spend much of their time trying to beat him again. Also complicating matters is the fact that any effort to defeat Doggett by putting more Republicans in his district could weaken the GOP vote in Travis County’s other congressional districts, which are represented by Republican Reps. Lamar Smith and Michael McCaul, whose seats are relatively safe. State Senate Redistricting Committee Chairman Kel Seliger, R-Amarillo , said he has seen a congressional map that targets Doggett for defeat. Doggett’s district is not VRA protected, so the Republicans have a fair amount of latitude, but not necessarily a lot of good options. Doggett has a ton of money and easily won a primary in 2004 against a South Texas Latina, so drawing him into a heavily Hispanic district is no guarantee of success. Making his district red enough to knock him off in November means shifting a lot of Republicans in and Democrats out, which may well have an effect on Lamar Smith or Mike McCaul, both of whom got less than 60% in 2008. 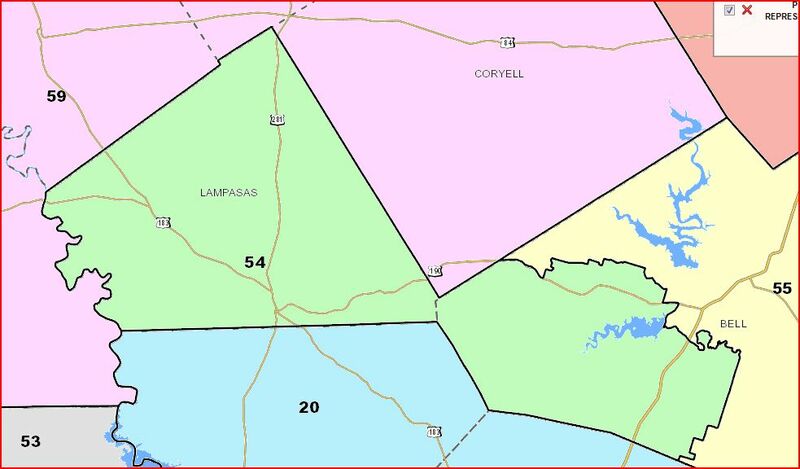 Carving Travis County into smaller pieces, all of which are distributed to Republican districts (possibly including the new Central Texas one) could work, but that’s an awful lot of Democrats to spread around, and Travis’ neighbors Hays and Williamson have also been trending blue. 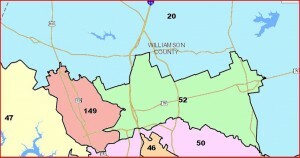 With redistricting most things are possible, but some may not be worth the effort. 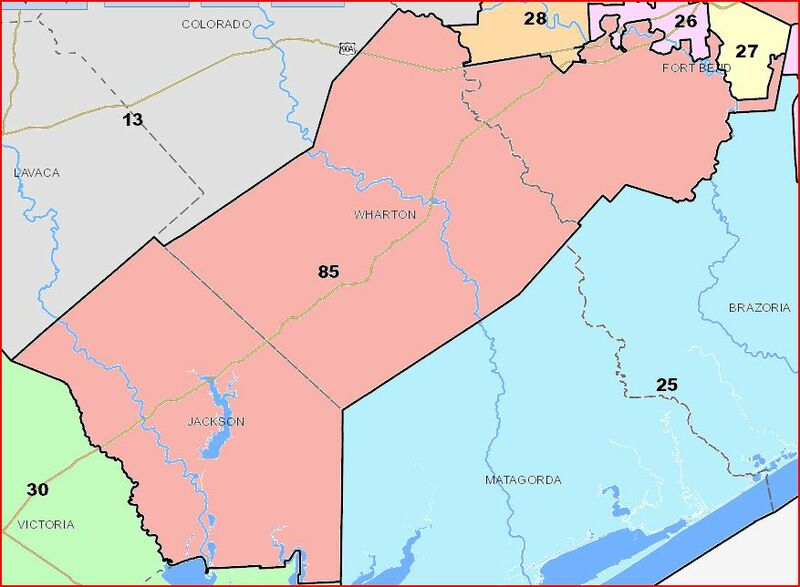 According to Texas on the Potomac, the GOP Congressional delegation submitted its preferred map to the House on Thursday. We’ll know soon enough what they try to do. The Trib has more.